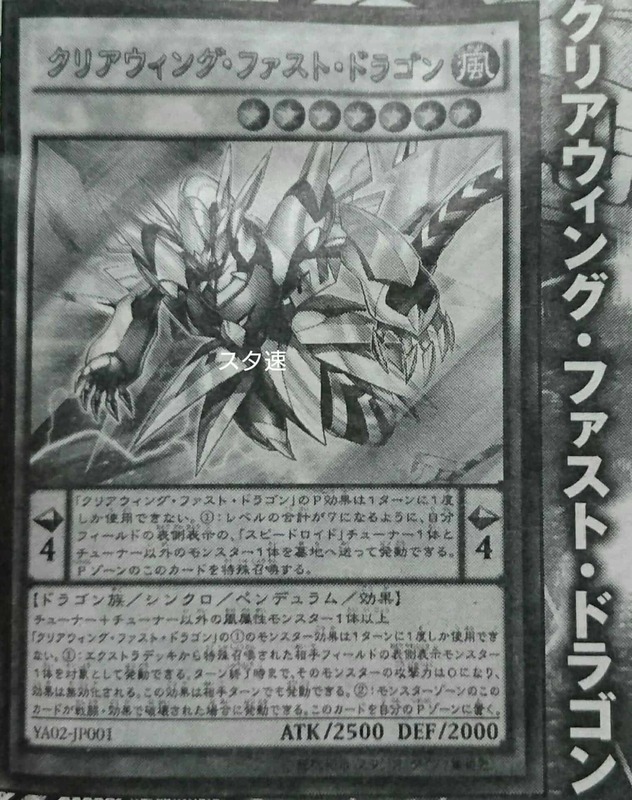 Starting with Clear Wing Fast Dragon, the Pendulum Synchro! (1) You can send 1 “Speedroid” Tuner monster + 1 non-Tuner monster you control whose Levels equal 7 to the Graveyard; Special Summon this card from the Pendulum Zone. You can only use this Pendulum Effect of “Clear Wing Fast Dragon” once per turn. (1) During either player’s turn: you can target 1 face-up monster the opponent controls that was Special Summoned from the Extra Deck; its effects are negated, also its ATK becomes 0. These changes last until the end of the turn. You can only use this effect of “Clear Wing Fast Dragon” once per turn. (2) If this card is destroyed by battle or a card effect while in a Monster Zone: you can place this card in your Pendulum Zone.